Audi, the largest luxury brand in China, lost market share to its two German rivals, BMW and Mercedes-Benz, even as its July sales rose. In July, Audi delivered 46,454 vehicles in the Chinese market, for a gain of 9.9 percent from a year earlier. The growth was led by crossovers and SUVs. Last month, combined sales of the Q3, Q5 and Q7 surged 21 percent year on year, the Volkswagen Group said. 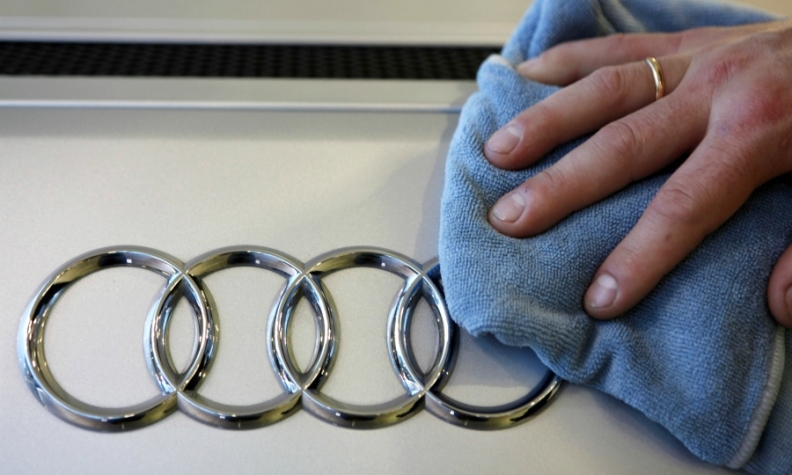 But BMW and Mercedes continue to gain ground on Audi in China. Last month, BMW sales advanced 19 percent year on year to 40,200 vehicles while Mercedes deliveries surged 26 percent to 37,277 vehicles. In the first seven months, Audi's sales increased 6.5 percent year-on-year to 335,580 vehicles. In the same period, BMW deliveries rose 8.5 percent to 287,753 vehicles while Mercedes sales soared 32 percent to 257,276 vehicles. The three German luxury brands plan to boost China sales by introducing new and upgraded models. BMW introduced the new X1 small crossover in May. Audi plans to launch the upgraded long-wheelbase A4 sedan in September and Mercedes will introduce the redesigned long-wheelbase E-class sedan this autumn.